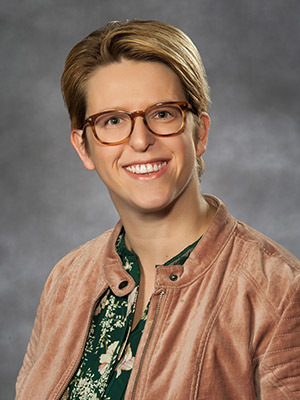 Laura Rossacher joined University Public Affairs as assistant director in October 2017. She oversees public relations for the VCU Health brand, which represents the health sciences schools of VCU and the VCU Health System, including VCU Medical Center. Her responsibilities include strategic PR planning, external communications, media relations, social media and issues management. Prior to joining VCU, Rossacher spent 10 years on the PR agency side, managing integrated public relations programs in partnership with marketing, advertising and digital agencies. Most recently at Padilla, she specialized in campaign strategy using earned, owned, shared and paid channels to solve her clients’ toughest communications challenges across industry sectors. During her tenure at Padilla, Rossacher’s work earned top honors from Bulldog Reporter, PRSA Richmond and PRSA National, among others. Her clients included The Virginia Lottery, Amtrak Virginia, Hilton Worldwide, CarMax, Girl Scouts of the USA and Partnership for Drug-Free Kids. She graduated with a master’s degree in journalism and public relations from the University of Applied Sciences JOANNEUM in Austria. Rossacher is a native of Graz, Austria.